You did it didn’t you? You went to the superstore downtown in search of great gifts for someone who has everything. And you fought the crowds, had trouble finding a parking space, had to hunt down a shopping cart. Hopefully you didn’t slip in the icy parking lot! Did you see all of those excited kids pushing all of the buttons and playing with all of the toys in the toy department? Did you see the nearly empty shelves on the seasonal aisles? And you came home frustrated and empty handed, didn’t you? Now do you believe me? Sometimes I think that people believe that I make this stuff up! Trust me, sometimes I wish I really DID make it up! But I don’t. I am just an ordinary person with extraordinary experiences, and I share them with you in hopes of making your Christmas shopping experience more enjoyable. So let’s get down to business. You are still in search of ideas for great gifts for someone who has everything, am I right? Well maybe we need to take a different approach. 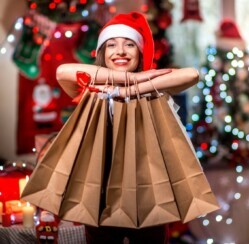 Have I told you about the unique merchants that we feature here on ChristmasGifts.com? These are not your ordinary merchants that you find on other gift sites. These are very special merchants that we hand selected especially for you, and they are absolutely magnificent. The offer items that you simply won’t discover anywhere else. Grab a mug of tea, relax and take a few deep breaths, and check out these merchants and the wonderful gifts they offer- you won’t even need to search for a place to park your car! 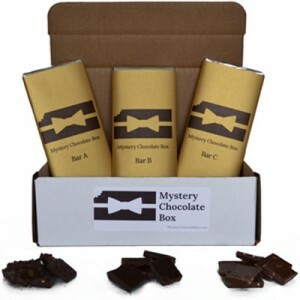 MysteryChocolateBox: If you have a chocolate lover on your list, this is the place to go! MysteryChocolateBox.com really knows how to make Christmas gifts fun for all ages. Their creative gift includes out of the ordinary chocolate bars in mystery wrapping for your loved one’s tasting pleasure. Make it a game and see if you can guess what is inside each wrapper, then log on to find out details about the chocolate bars you received. 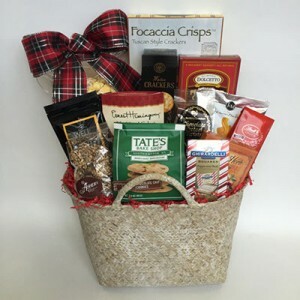 GroveBaskets: Not your ordinary gift baskets, these unique gifts are created with tender loving care to ensure that your recipient is happy this holiday season. They offer an exciting assortment of cookies, nuts, holiday candy and more to please even to most finicky of recipients. Check out GroveBaskets.com’s promotional products and specialty gifts for every occasion! 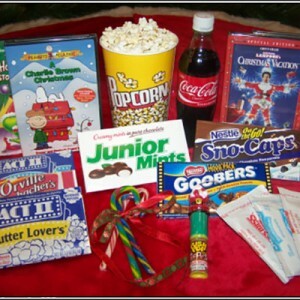 MovieNoodle: A fun way to unwind after the holidays, MovieNoodle.com offers creative gift baskets that feature movie night as their theme. With hundreds of hit movies to choose from, theater candy, soda, and of course- popcorn, life doesn’t get much better than this! It’s like a total movie experience in one single gift! Do you have someone on your list who just seems to have everything? Be sure to share us on Facebook and see what your friends have to say!